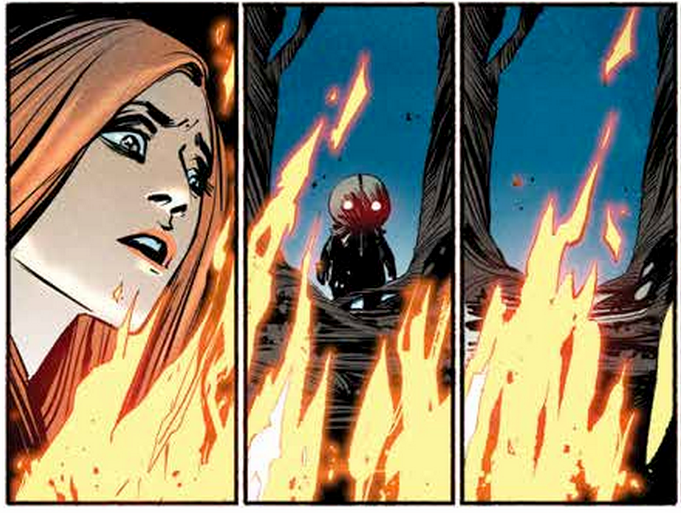 The spirit of Halloween and horror’s newest icon Sam is back in Trick ‘r Treat: Days of the Dead, an all new graphic novel arriving this October. 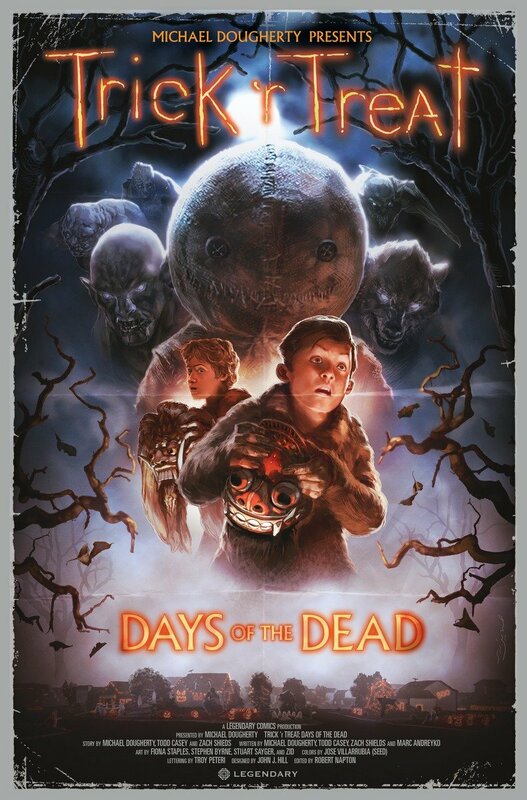 Written by Trick ‘r Treat and Krampus director Michael Dougherty, Days of the Dead features four new stories that take place on various Halloween nights throughout different time periods, paving the way for next year’s sequel Trick ‘r Treat 2. Check out the official synopsis and beautiful cover art, as well as a few preview panels, below, and then click here to pre-order yours now! Days of the Dead ventures through the ages for this chilling collection of Halloween-time stories: from old-world lovers whose romance takes a darker turn, to pioneers who discover more than they bargained for out West, to an edgy 1950s Los Angeles tale dripping with horror noir, and straight through the heart of small-town America to teach a couple of a trouble-making pranksters a lesson they’ll never forget. Across the centuries of Halloween horror, wherever fear lies, Sam will be waiting. 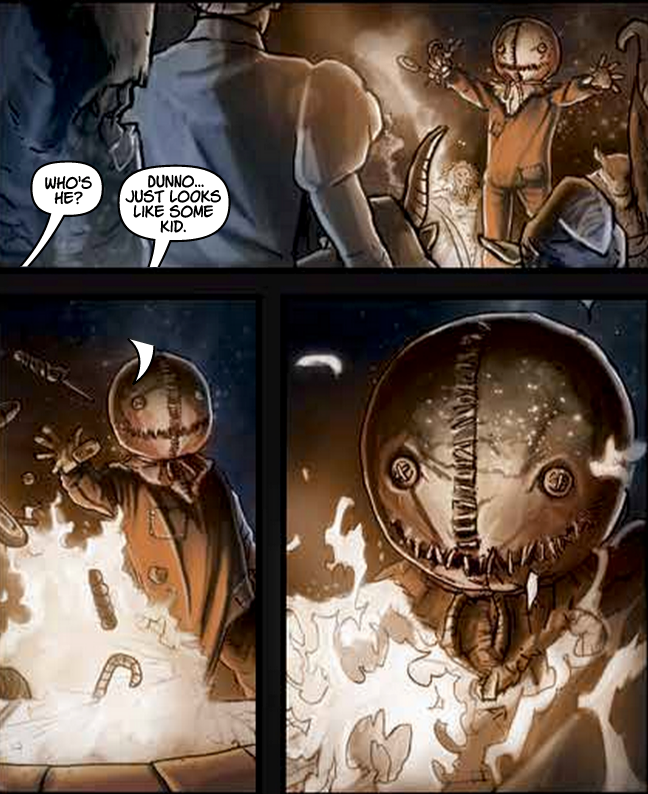 Trick ‘r Treat: Days of the Dead will be released on October 6.